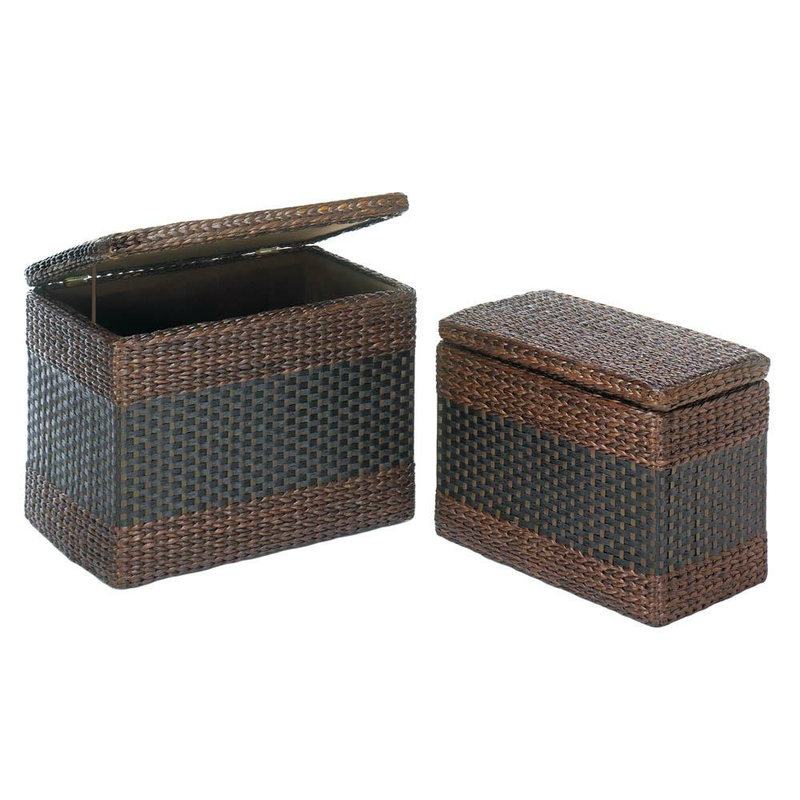 Dark brown rush grass is woven with beauty to create this two-piece nesting trunk set. They have wooden frames and brown fabric lining, and they’ll increase the storage space in your room with style. 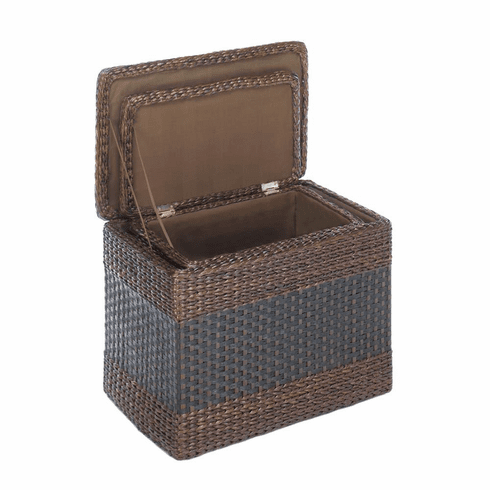 Large: 24" x 14 1/2" x 17 1/2" high; small: 20" x 11 1/2" x 15 1/4" high. Weight 9.2 pounds. 24" x 14.5" x 17.5". Paper Rope, Canvas, Rush Straw. UPC Number: 849179030063.